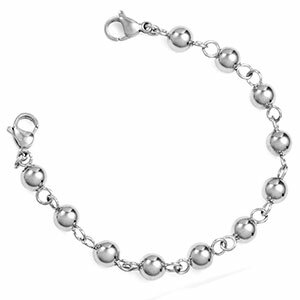 Create your own ID bracelet or Medical ID bracelet with this shiny stainless steel bead and link bracelet. 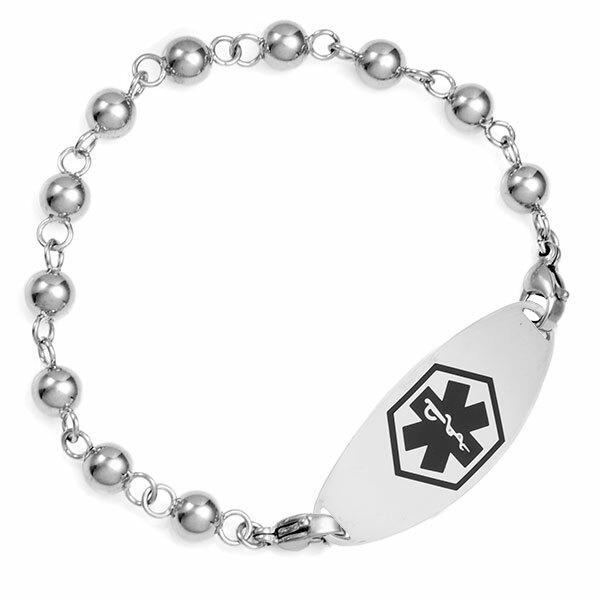 Combines with ANY of our stainless steel plaques you will see on the next page once you add item to cart. 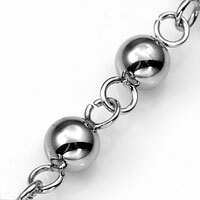 Clasps are 316L stainless steel. Available in sizes 5, 5.5, 6, 6.5 and 7 inch. 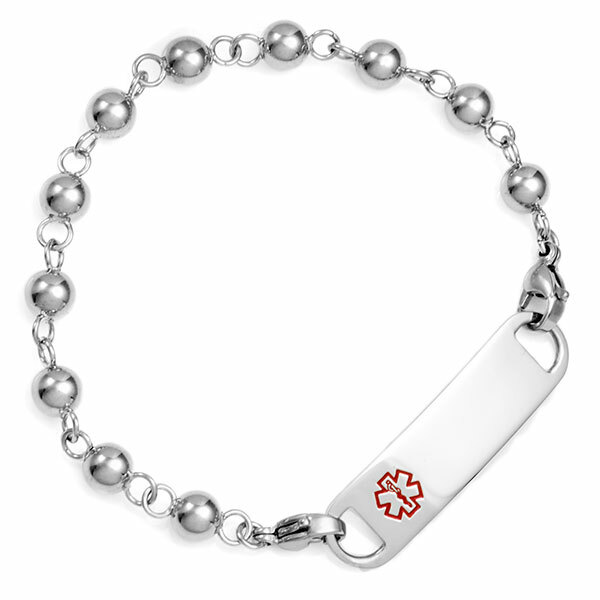 If you purchase a tag: Remember to add length of tag to the length of bracelet to achieve total length.